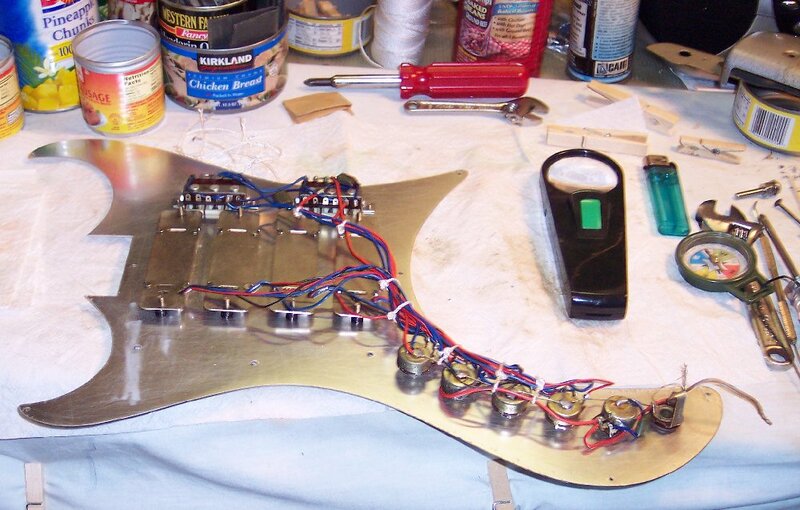 Electronic harness re-installed on pickguard and harness wires hand tied. Bass bout view. 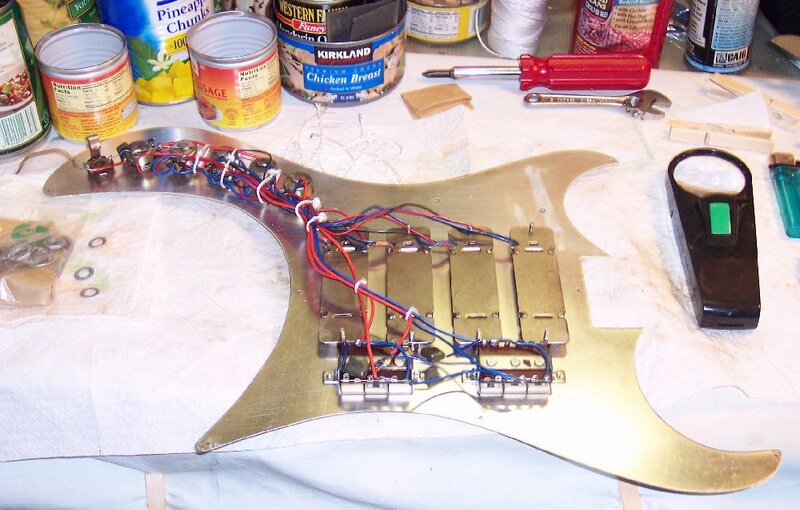 Electronic harness re-installed on pickguard and harness wires hand tied. Treble bout view. 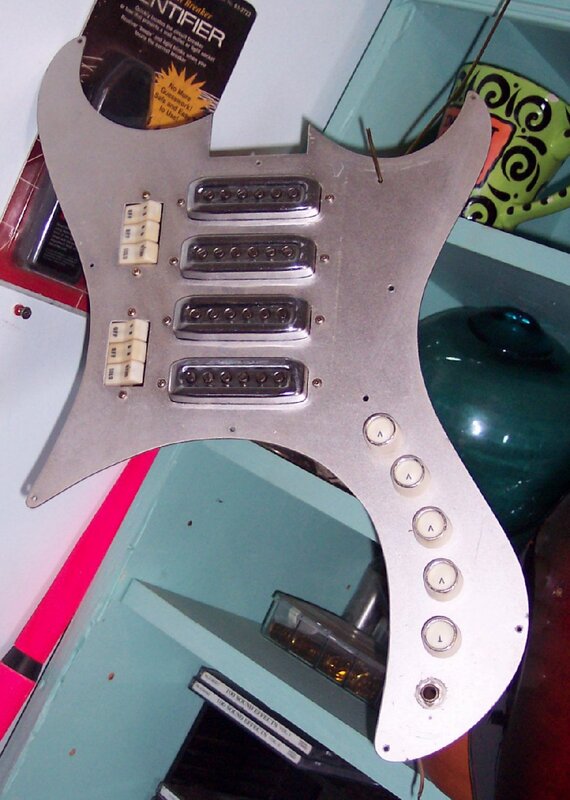 Electronics / pickguard assembly completed and ready for re-installation on guitar. Tuners, new string post ferrules and the string posts valance re-installed. 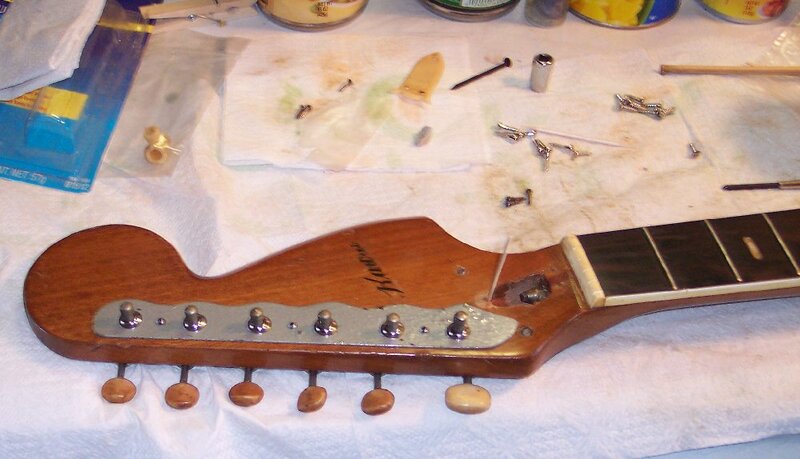 Starting repair of the truss rod cover's front screw hole which was mis-set at the factory; More views of that repair are on the next page. Closer view of headstock. The string down-pull loom will be installed after the truss rod screw hole repair is done.